Are you interested in the Performing Arts Industry? There are several Midd alums currently working in the performing arts industry. I encourage you to contact them to learn how to succeed in this industry. Search for them via Middnet and/or LinkedIn. Below you will find a short list where alumni have worked or interned in the past. As a student, you could continue to develop your skills and experience on campus. If you would like to discuss your interest in the performing arts industry, please schedule an appointment with me in handshake! This entry was posted in Midd Blogosphere and tagged arts, Arts, Media, and Communications, Performing Arts, Visual Arts on April 17, 2018 by Alicia Gomez. Moovly has put together a list of great and unique animation tips that you may have overlooked or never really come across. What makes these tips more valuable is that they have originated from some of the industry’s finest and experienced animators. Click here to read the article. This entry was posted in Midd Blogosphere and tagged arts, Arts, Media, and Communications, Digital/Social Media, Film/Radio/Television, Visual Arts on November 7, 2017 by Alicia Gomez. This entry was posted in Midd Blogosphere and tagged arts, humanities, juniors, research, social sciences, sophomores, summer, Undergraduate Research on December 19, 2014 by Colleen Norden. Thursday September 27th marked the opening of this year’s Clifford Symposium, celebrating “Creativity and Collaboration.” With more than 30 events across multiple academic and artistic disciplines, the weekend offered everything from music and dance performances to panels on peacekeeping and entrepreneurship. The annual occasion, which falls near the start of each academic year, is named for Nicholas R. Clifford, who taught history at the College from 1966 to 1993 and is a champion of critical inquiry. This year’s symposium was hosted by the Kevin P. Mahaney ’84 Center for the Arts in honor of its 20th anniversary. This entry was posted in Midd Blogosphere, video and tagged arts, Clifford Symposium, collaboration, creativity, Dispatches, Featured Multimedia, Issue, Multimedia, Uncategorized on October 4, 2012 by Middlebury Magazine. 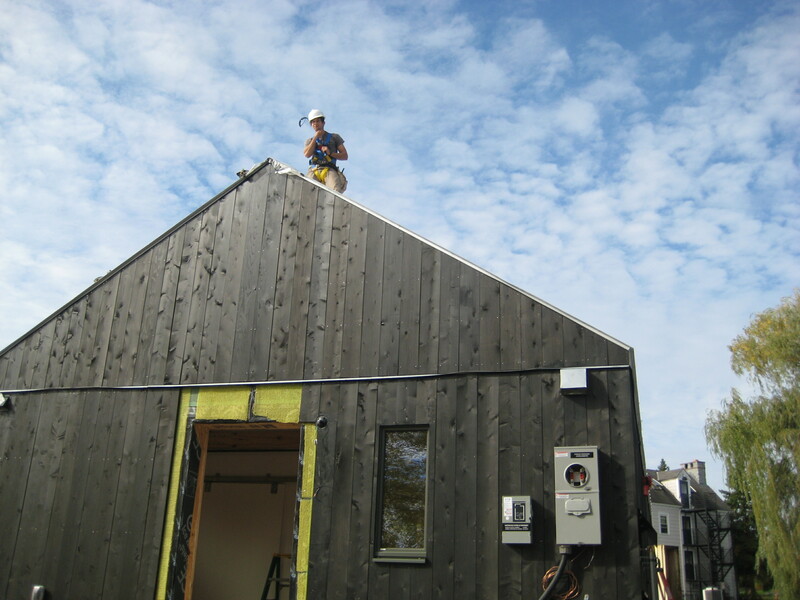 The house arrived in pieces–from the competition in DC–and is now being reassembled on Porter Field Road for likely occupancy this spring. That’s Ben Brown, Solar Decathlon Health and Safety Officer, snapping on a piece of the roof and surveying the landscape. 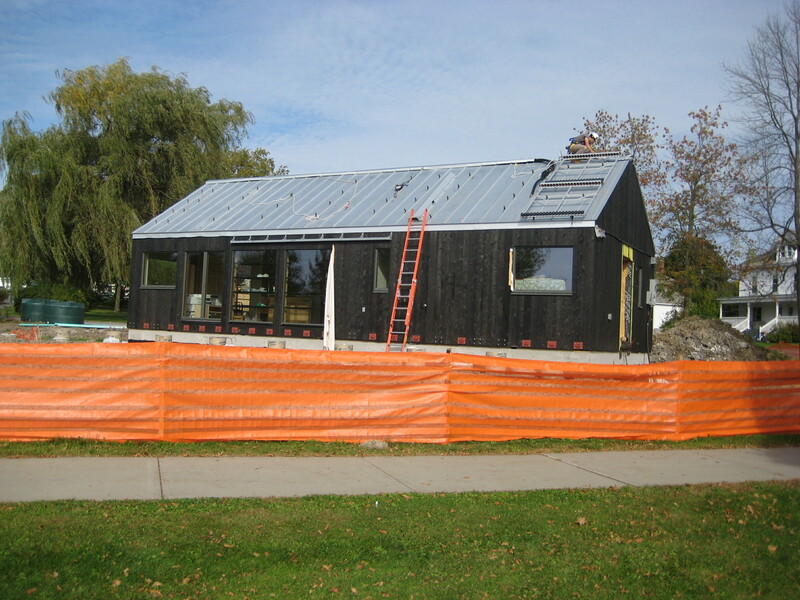 This entry was posted in Midd Blogosphere and tagged arts, Campus community, Facilities on October 12, 2011 by Timothy Spears. 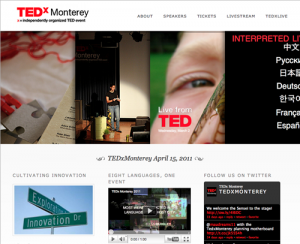 This entry was posted in Midd Blogosphere and tagged arts, MIIS, TEDx, ★ The Essentials on April 6, 2011 by Jess Isler. The following post is not even close to an administrative update, but for the past couple of years Matt Jennings and I have blogged about our favorite albums of the year (for instance, see this and this). Because we do a radio show on WRMC every Friday afternoon, we get to pretend to be authorities on pop music. And we have fun. We ‘re doing it again this year, and share the following recommendations in the spirit of the holiday season. We invite readers to post their recommendations as well. The more, the better . . .
Astute listeners of 68 Degrees and Holding will not find my list particularly surprising (nor will they be surprised by what will surely be a snarky response from my friend and co-DJ, the author of this blog). A brilliant debut from this West London quartet. From Marcus Mumford’s passionate vocals to Winston Marshall’s banjo pickin’ (yes, Spears, banjo pickin’!) to Ted Dwayne’s mastery of the stand-up bass, this band manages to sound both refreshingly original yet appropriately reflective of their musical roots in bluegrass, folk, and eclectic rock. I enjoyed “Boxer” so much that I was both eager and anxious about this album’s release. Eager because “Boxer” just left me wanting more, more, more and anxious because I fretted that “Boxer” was so good that anything that followed would be a letdown. Well, I wasn’t disappointed. I’m well aware of the heresy of comparing the Irish to the Scottish, but this band reminds me of the Pogues–without Shane MacGowans drunken (and ultimately destructive) antics. “The Winter of Mixed Drinks” is the perfect follow up to 2007′s “The Midnight Organ Fight”; it’s fun, catchy, and addictive. A trendy pick, I know, but to ignore James Murphy’s latest work would be a flagrant omission, especially if we were to look back on this list in a year’s, two years’, ten years’ time. Aggressively original and fascinating to listen to. From the traditional (Dr. John, Rebirth Brass Band, Trombone Shorty, Kermit Ruffin) to the original (Steve Earle’s “This City, which was written for the show) to the hilarious (“Shame, Shame, Shame” by Steve Zahn and friends) this soundtrack from the HBO original series is a must have, both for fans of the show and folks who love great, authentic music. No snarkiness here. All sweetness and light! Cee Lo Green has a storied career in the hip-hop world, but this is a full-out R & B record that traditionalists will love. It includes the infectious and infamous “F– You,” which can be seen and and heard in all its glory on YouTube. But there is nothing gimmicky about this album. Fans of Michael Jackson, Al Green, or Beyoncé should take note. At times, this sounds like another entry in the R & B sphere, but the album is so diverse and international in its offerings that it really can’t be categorized (though I don’t think it includes any banjo). Style-wise (check out her videos), Monáe gestures to 1920s (the album cover art is apparently inspired by Fritz Lang’s 1927 film, Metropolis), but her genre-mashing encompasses hip-hop, jazz, Afro-punk—you name it. A virtuoso performance, and Monáe, who is from Kansas City, is only 25. The Swedish techno-pop star hits the sweet spot with songs about dancehall love, gender bending, and cyber culture. She keeps it light, witty, and danceable—not so heavy as Lady Gaga. And, believe it or not, she will be performing at Higher Ground in later January. I already have my tickets. This is country music about the useful themes: heartbreak, crummy jobs, alcoholism, and the little pleasures of everyday life. Johnson is a compelling storyteller, and his Alabama-tinged bass voice gives the lyrics a sense of gravitas and depth. I don’t listen to a lot of country music, but I keep returning to this album, trying to understand why I like it so much. There are also just enough guitar riffs here to satisfy rock fans. This entry was posted in Midd Blogosphere and tagged arts on December 10, 2010 by Timothy Spears.